Fresh Red Capsicum contains an impressive list of plant nutrients that are found to have disease preventing and health promoting properties. Our company is a counted among the renowned Suppliers and Exporters of Fresh Red Capsicum from Thailand. Special acre is taken about the packaging of the Red Capsicum at our vendor’s end before the final dispatch. 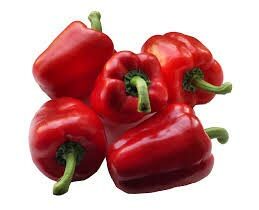 We are capable of delivering bulk orders of the Red Capsicum.